Anti-aging with a capital A. Skincare supplement. A skincare supplement suggested for all skin types. 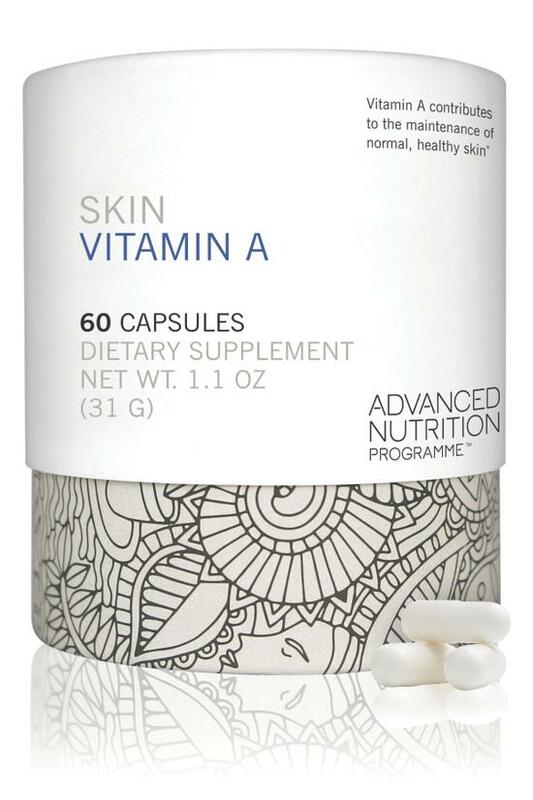 Skin Vitamin A contains vitamin A enriched with vitamin D. Vitamin A is important for cell production and growth. It also stimulates the cells responsible for the skin's firm and healthy tissue and so is known as the anti-aging vitamin. * Vitamin D optimizes the skin's immune system and helps to destroy free radicals that can cause premature aging. * Each capsule contains optimum levels in an easily absorbable form. One capsule a day with food is recommended. · Vegans. Vitamin D is derived from lanolin. Nourishes the skin from the inside, easily absorbable and contains optimum levels of vitamins A and D.